The Bettye Swann story is a case of what might might have been. She could’ve and should’ve been one of the biggest names in sou music. That looked like being the case when Bettye Swann released her debut single Don’t Wait To Long in 1964. Three years later, in 1967, Betty Swann was topping the US R&B charts with Make Me Yours. The future looked bright for Bettye Swann and critics forecast she was about to enjoy a long and successful career. Following the death of her husband and manager, Bettye Swann retired from the music industry aged thirty-six. It was then that Bettye decided upon a change of name and career. In a sense Bettye Swann died and Bettye Barton was born. The “newly born” Bettye Swan embarked on a career in education in Las Vegas and became a Jehovah’s Witness. Never again, did Bettye return to soul music. Thirty-six years after Bettye Swann turned her back on music, her music is more popular than ever. Six compilations of Bettye Swann’s music has been released, and her songs regularly feature on compilations. That’s how a new generation of record buyers have discovered one of the finest voices in soul music, Bettye Swann. Her story began in Shreveport, Louisiana, on October 24th 1944. That’s the date that Betty Jean Champion was born. She was one of fourteen children. Betty grew up in Arcadia, Louisiana. It wasn’t until Bettye was in her teens that she starting singing secular music. She became part of a The Fawns, a vocal group who sung locally. However, in 1963, when Bettye was nineteen, she decided to move to Los Angeles, where she would stay with her sister. Once she had settled in Los Angeles, Betty was spotted by songwriter Huey Harris. Realising that Betty had potential, Huey told Betty about a friend of his, Al Scott who ran Money Records. Just like Huey Harris, Al Scott spotted Betty’s potential and wanted to sign her to Money Records. However, he didn’t like her name. So he advised Betty to change her name. She needed something that rolled off the tongue. He had a think, and came up with Bettye Swann. That was more showbiz. With a new name, she signed to Money Records. Soon, Bettye’s life was transformed. Not only had she a new name, but a manager. She had began writing what she hoped would become her first hit. 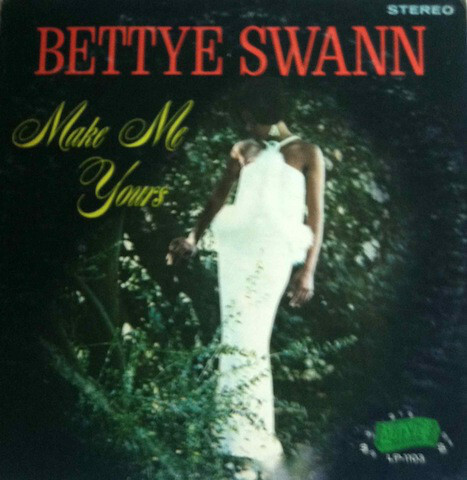 After a few false starts, Bettye Swann had penned Make Me Yours, which would become her first single. Recording of Make Me Yours, took place at Gold Star Records, In L.A. Al Scott put together a tight, talented band. For the flip side, Huey Harris’ What Is The World Coming To was chosen? This was Al Scott’s way of thanking Huey Harris for putting Bettye Swann Money Records way. With Doc Siegel engineering the sessions, Make Me Yours and What Is The World Coming To were recorded at the foot of the Hollywood hills in late 1964. Now that Bettye’s debut single was recorded, all that was left, was to release it. The release was scheduled for late December 1964. Before that, Money Records began promoting their latest singing’s debut single. Money Records didn’t skimp on promotion, and this paid off. By February 1965, Don’t Wait Too Long had reached number twenty-seven in the US R&B charts. For Bettye Swann, this was the stuff dreams were made of. However, the tricky thing was repeating the feat. For the followup The Man That Said No was chosen. Bettye and Huey Harris cowrote The Man That Said No. The single was released later in June 1965. Everything was looking good for Bettye. She had booked to appear on television, where she would sing her new single. Accompanying her, were The Blossoms, who would add backing vocals. This was great publicity. Al Scott must have thought this would boosted sales. Ultimately, it didn’t. Bettye’s sophomore single was a commercial failure. For Bettye, it was back to the drawing board. The song chosen for Bettye’s third single was The Heartache Is Gone. It showcased the new soul sound. This was seen as the future of soul. Tucked away on the B-Side was a heart wrenching ballad Our Love. It’s another Bettye Swann composition, and could’ve been released as a single. Sadly, that wasn’t to be. Our Love was destined to be just a flip side. When The Heartache Is Gone was released in 1966, it failed commercially. By then, Al Scott had started to work on Bettye’s debut album. When work began of Bettye’s debut album, the plan was to used the Bettye’s first three singles and some of the flip sides. New songs would be recorded at Gold Star. They would become Bettye Swann’s debut album. That never happened. With Bettye’s last two singles failed commercially, the proposed album was shelved. For Bettye this was a huge disappointment. However, Al Scott hadn’t lost faith in Bettye. He sent her back into the studio. At Arts Studio Bettye recorded a song she had penned, Make Me Yours. For the flip side, I Will Not Cry was chosen. After Bettye had cut Make Me Yours, her career was transformed. Make Me Your was released in April 1967. Straight away, the track began to climb the charts. Eventually, it reached number one on the US R&B charts and number twenty-one on the US Billboard 100. After three long and frustrating years, Bettye Swann had made a breakthrough. Now came the hard bit, following up Make Me Yours. For the followup Fall In Love With Me was chosen. This was another song penned by Bettye. When it was released in August 1967, it charted, but stalled at just thirty-six in the US R&B charts. While this was disappointing compared to Make Me Yours, it took Bettye’s tally of hits to three in three years. She was hot property. So Al Scott’s thoughts turned to Bettye’s debut album. Rather than rush out Bettye’s debut album, Al Scott decided to rerecord some of the tracks. This included two B-Sides, I Will Not Cry and Lonely Love. New tracks were recorded, including The Temptations’ Don’t Look Back, Ray Charles’ I Can’t Stop Loving You and Sam Cooke’s A Change Is Gonna Cone. With the album completed, it was released in 1967 as Make Me Yours. Despite the effort of everyone at Money Records put into the release of Make Me Yours, the album wasn’t a commercial success. The album passed records by. So Al Scott’s thoughts turned to Bettye’s next single. The song chosen was a track from Make Me Yours, Don’t Look Back. Hidden away on the B-Side You Gave Me Love. It falls into the category of hidden gem. Don’t Look Back was released in 1968, but failed commercially. Things weren’t going well for Bettye Swann. Her time at Money Records was almost at an end. 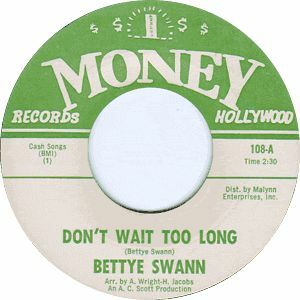 Bettye Swann would only released one more single on Money Records. Don’t Take My Mind was another track from Make Me Yours. It was paired with the soul-baring I Think I’m Falling In Love. History repeated itself when Don’t Take My Mind failed to chart. That proved to be the end of two chapters in Bettye Swann’s career. The money spent on promoting Bettye’s Make Me Yours album had taken its toll on Money Records’ finances. This wasn’t helped by the failure of her last two singles. Something had to give. So, Bettye left Money Records. Just a year after enjoying a number one single, Bettye Swann parted company with Al Scott. Not only did Al produce and manage Bettye, but they had been a couple. Mixing business and pleasure is always dangerous. That proved to be the case. The relationship faltered, and by 1968, Bettye had a new manager George Barton. Following her departure from Money Records, Bettye and George Barton moved to Athens, Georgia. George who was twenty years older than Bettye, was a veteran of the music industry. He knew his way around the music business, and in mid-1968 Bettye Swann signed to what was one of the biggest, and most prestigious labels in music, Capitol Records. So far, so good. 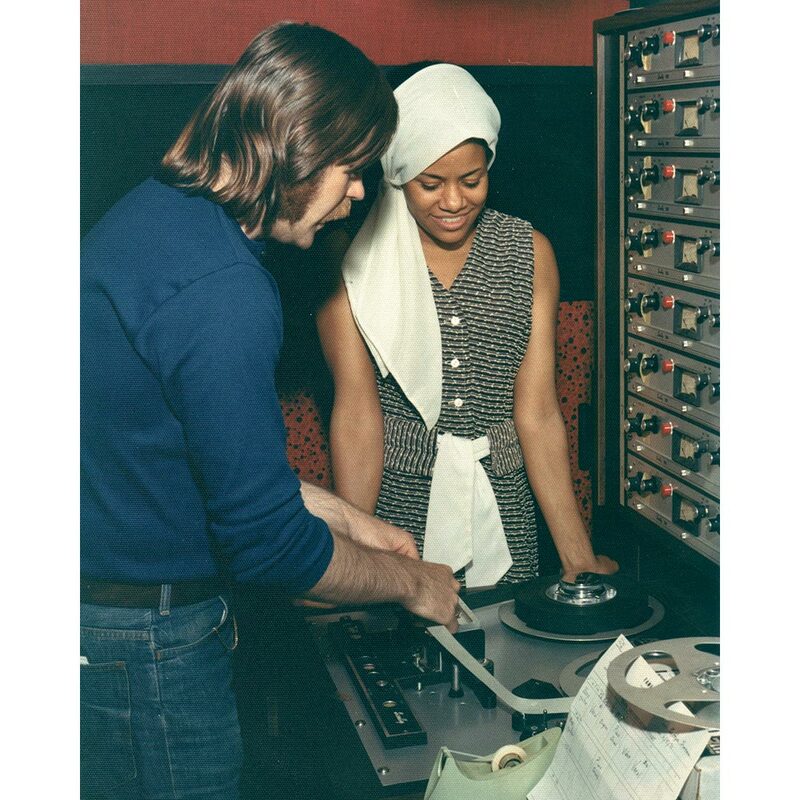 Now Capitol Records had to pair Bettye with a producer. They decided to pair Bettye with Wayne Shuler. He was a relative newcomer to Capitol Records. Most people would’ve called Wayne a rookie. That wasn’t the case. Wayne’s father was Eddie Shuler, the producer and owner of Goldband Records. From an early age, he had taught Wayne tricks of the trade. So when he began work at Capitol Records, he had an edge on the real “rookies.” He was well versed not just in soul and R&B. All of a sudden, the pairing of Wayne and Bettye Swann made sense. Maybe Wayne could get Bettye’s career back on track? I’m Lonely For You. It’s another of Bettye’s compositions. So was the B-Side was (My Heart Is) Closed For The Season. It had a much more grownup sound, and featured Bettye singing about the travails of life. This was the polar opposite of the pop soul of I’m Lonely For You. However, (My Heart Is) Closed For The Season was the direction Bettye’s music would take in the future. Maybe that was as well. When I’m Lonely For You was released in August 1968, the single failed to chart. This wasn’t a good start to Bettye’s time at Capitol Records. However, better times weren’t far away. For Bettye’s second single for Capitol Records, Bettye covered Hank Cochran’s Don’t Touch Me. When it was released in January 1969, it reached number fourteen in the US R&B charts. Now all thoughts turned to Bettye Bettye Swann’s first album for Capitol Records. Ten tracks had been chosen for what became The Soul View Now! Only two of the tracks were penned by Betty. The rest were cover versions. This included Otis Redding’s These Arms of Mine, Chip Taylor’s Angel Of The Morning, Don Gibson’s Sweet Dreams. So do John D. Loudermilk’s Then You Can Tell Me Goodbye and Aaron Neville’s Tell It Like It Is. They both feature on The Very Best Of Bettye Swann. 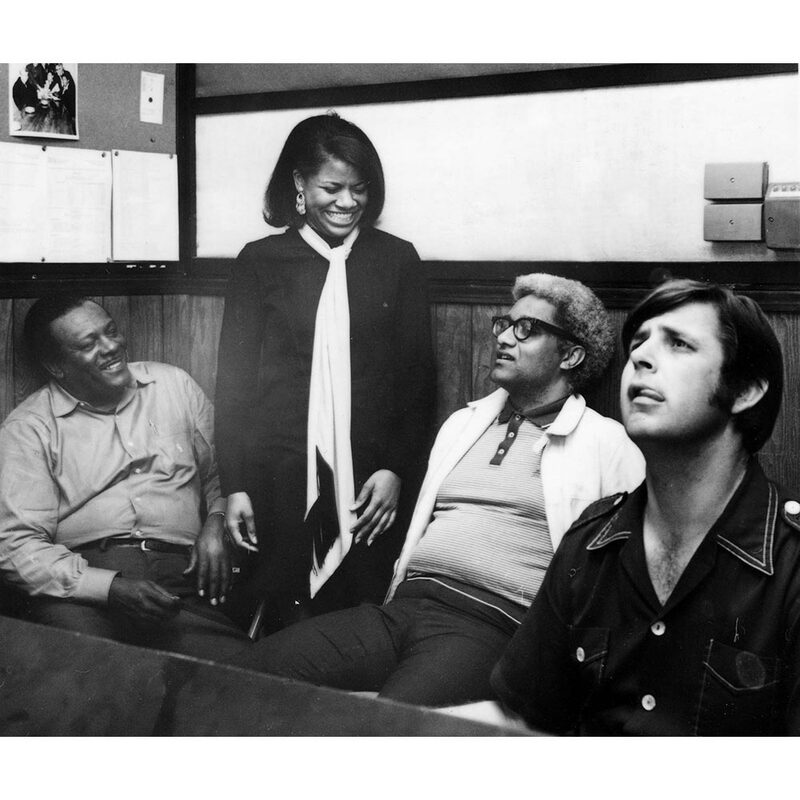 However, back in 1969, some of the top session players accompanied Bettye on The Soul View Now! Once the album was soon recorded, it was ready for release. Bettye Swann’s first album for Capitol Records, The Soul View Now! was released in the first half of 1969. It reached number forty-eight in the US R&B Charts. Bettye’s luck seemed to be changing. For her next single, the Chip Taylor penned Angel Of The Morning was chosen. It was released in May 1969, but failed to chart. This was a disappointment. However, still Capitol Records had faith in Bettye Swann. They sent her back into the studio. Capitol Records didn’t spare any expense. Some top session musicians were drafted in to record the ten tracks. They accompanied Bettye, while Wayne Shuler produced Don’t You Ever Get Tired Of Hurting Me? Among the songs Bettye and her band recorded were Don’t You Ever Get Tired Of Hurting Me?, Little Things Mean A Lot, You’re Up To Your Same Old Tricks Again, Just Because You Can’t Be Mine, Stand By Your Man, Traces, Today I Started Loving You Again and Willie and Laura Mae Jones. On these tracks, Bettye breathed life and meaning into the lyrics. Sometimes, it sounds as if she had lived and survived them as she delivers a vocal tour de force. Once Don’t You Ever Get Tired Of Hurting Me? was completed it was released later in 1969. When Don’t You Ever Get Tired Of Hurting Me? was released, it failed to chart. Little did Bettye Swann realise, that sadly, thing were going to get a whole lot worse. 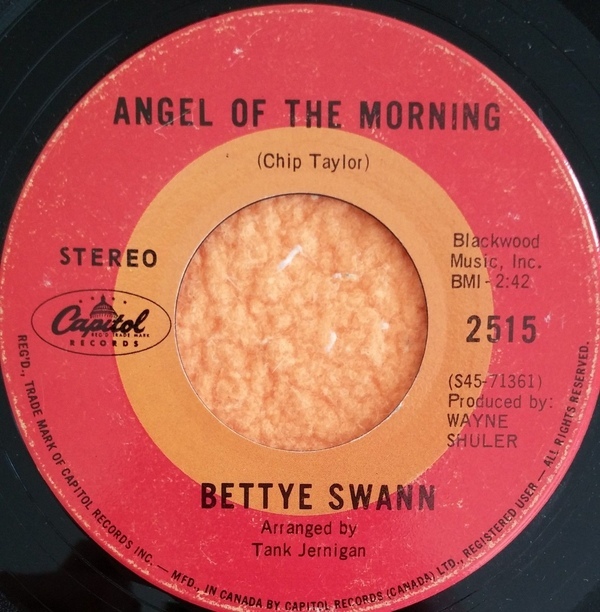 Bettye Swann released just two more singles on Capitol Records. The first was Don’t You Ever Get Tired (Of Hurting Me)? It was released in September 1969, and failed to chart. When Little Things Mean A Lot was released in 1970, it also failed to chart. Neither single features on The Very Best Of Bettye Swann. 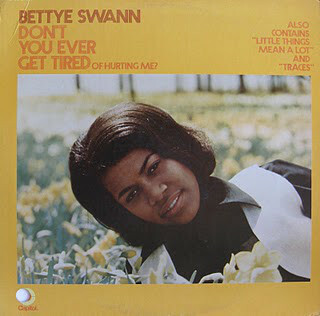 For Bettye Swann, Little Things Mean A Lot was the last single she released on Capitol Records. This left Bettye Swann looking for a new label. She found it in 1971, when she signed to Fame Records. It was enjoying the most successful period in its history. Candi Staton was its most successful artist. However, Fame Records were alway looking to add to their roster. So with Bettye Swann without a label, Fame Records swooped. Sadly, Bettye’s time at Fame Records was short-lived. Mickey Buckins had been trying to get an in at Fame Records. His patience was eventually recorded, when he was given a job as staff songwriter and technician. Although Mickey was mainly based at Fame Records’ demo studio, this didn’t matter to him. He was just happy to be working at such a prestigious studio. He eventually formed a fruitful songwriting partnership with George Jackson. One of their songs was I’m Just Living A Lie. It seemed like the perfect song for Bettye Swann. Bettye went into the Fame studios and cut I’m Just Living A Lie. It was released in March 1971, but failed to chart. For Bettye, history was repeating itself. There was no followup to I’m Just Living A Lie, and Bettye’s time at Fame Records was over. 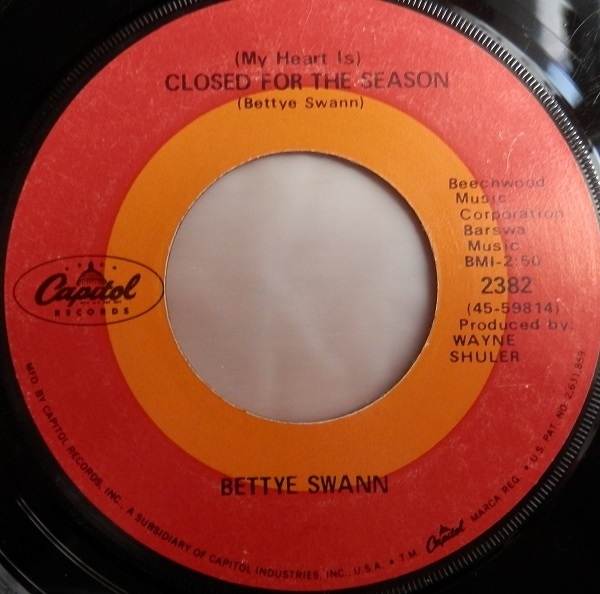 It was nearly another year before Bettye Swann released another single. However, it was well worth the wait when Victim Of A Foolish Heart was released on Atlantic Records. However, it wasn’t written or produced in-house. Instead, it had been written and recorded at Fame Records. Just like I’m Just Living A Lie, it was penned by Mickey Buckins and George Jackson. The song was produced by Mickey and Rick Hall. 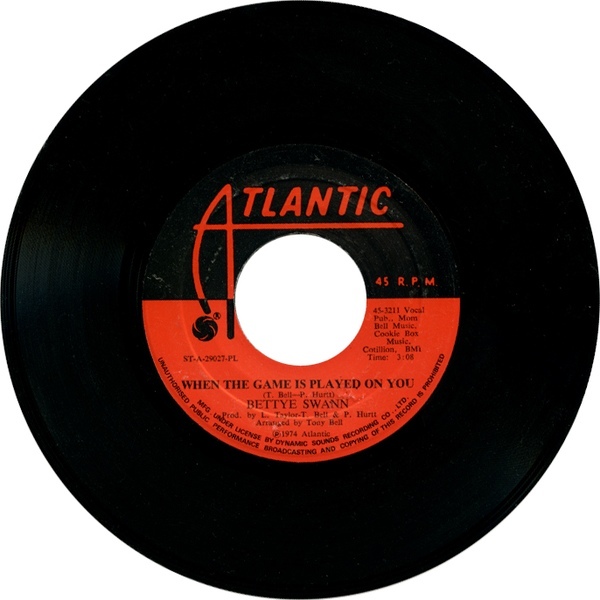 When executives at Atlantic Records heard the song, they knew they had a hit on their hands. When Victim of A Foolish Heart was released on 30th March 1972, it reached number fourteen in the US R&B Charts and sixty-one in the US Billboard 100. After six singles that failed to chart, Bettye was back. Could she make it two in a row? For the followup to Victim of A Foolish Heart, the song chosen was Merle Haggard’s Today I Started Loving You Again. Again, recording took place at Fame Studios. This time though, the producers were Phil Hurtt, Tony Bell and LeBaron Taylor. They reinvented Today I Started Loving You Again. When it was released in November 1972, it reached number twenty-four in the US R&B charts and number forty-six in the US Billboard 100. Bettye’s career had been rejuvenated at Fame. 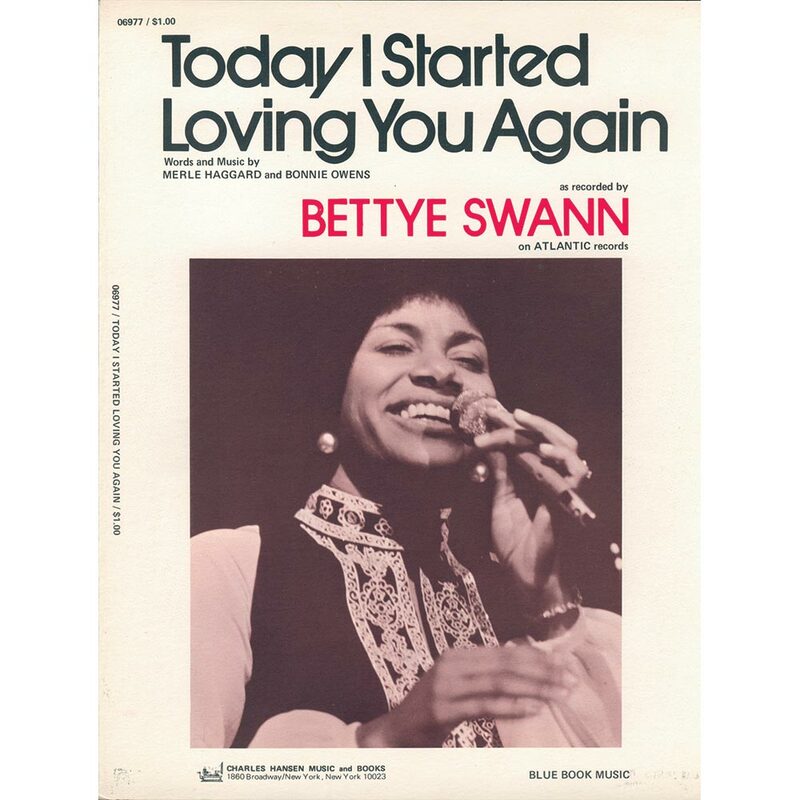 Sadly, Bettye wouldn’t return to Fame to record the follow up to Today I Started Loving You Again. Instead, Bettye was Philly bound. Executives at Atlantic Records seeing the success of Philly Soul. So they sent Bettye to Philly. However, Bettye wasn’t working with Gamble and Huff or Thom Bell. The Big Three were too busy, so Bettye was paired with The Young Professionals. Their first single with Bettye was The Boy Next Door. On its release in August 1974. it stalled at a disappointing seventy-four in the US R&B charts. On the flip side was Kiss My Love Goodbye, which features on The Very Best Of Bettye Swann. It’s an uptempo track that epitomises the Philly Soul sound. Although quite different from much of the music Bettye had recorded, it showcased her versatility. So did her next single. For the followup to The Boy Next Door, Time To Say Goodbye and When The Game Is Played On You were chosen. They were released as a double-A-side. Neither track caught the imagination of the record buying public. They missed one of the best tracks from Bettye’s Philly Soul era, When The Game Is Played On You. After the commercial failure of Bettye’s latest single, executives at Atlantic Records were watching events in Philly closely. Time To Say Goodbye was the last single produced by The Young Professionals. When it was released in September 1974, the single never troubled the charts. This spelt the end of Bettye’s Philly Soul era. There was no sentimentality at Atlantic Records. When The Young Professionals failed twice to deliver a hit, they brought onboard a new producer, Dave Shapiro. He chose Red Lane and Curly Putnam’s All The Way In Or All The Way Out. The Dave Shapiro produced All The Way In Or All The Way Out was released in 1975, but reached just eighty-three in the US R&B charts. Then in 1976, Bettye released Heading In The Right Direction. 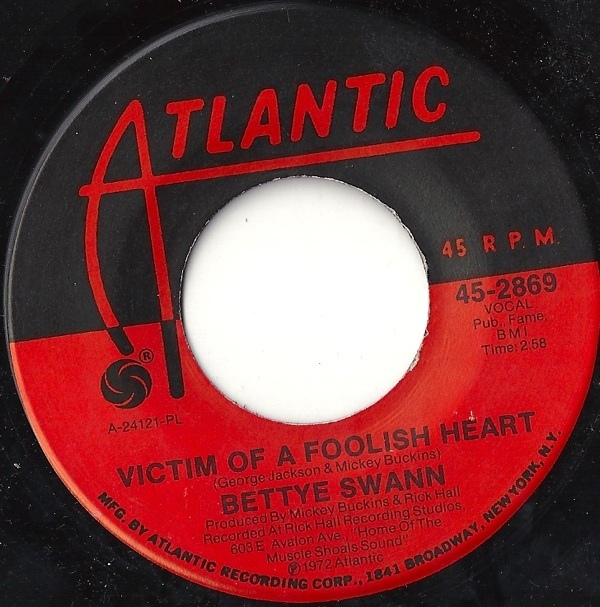 When it failed to chart, this spelt the end of Bettye Swann’s time at Atlantic Records. That was a great shame. Bettye Swann was one of the most talented singers of her generation. She could breath life, meaning and emotion into lyrics. They were transformed, and the song took on new meaning. Sometimes, it seemed as if Betttye Swann had lived and survived the lyrics. However, despite her undoubtable talent, Bettye Swann didn’t scale the heights that Aretha Franklin, Diana Ross and Gladys Knight did. Nor did Bettye Swann make a fortune from music. Far from it. 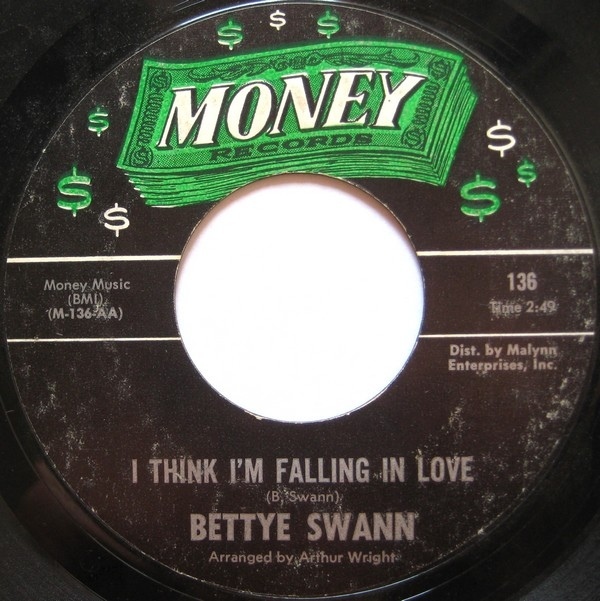 Bettye Swann made very little money from music. It’s only relatively recently that Bettye Swann has received a small income from the various compilations of her music that have been released. For newcomers to Bettye Swann, the best place to start are with The Complete Money Recordings and The Very Best Of Bettye Swann (Money, Capitol, Fame, Atlantic Recordings 1964-1975). Both were released by Kent Soul, an imprint of Ace Records and are a tantalising reminder of a woman who was of the finest soul singers of her generation, Bettye Swann. Nowadays, Bettye Swann is retired, and lives quietly in Las Vegas, Bettye Swann is a modest and humble woman, who doesn’t court publicity. Instead, Bettye Swann has spent so much of her life helping others. Very few of these people will even be aware of Bettye Swann’s past, or her rich musical legacy. This includes over twenty singles and three albums, Soul View Now!, Make Me Yours and Don’t You Ever Get Tired Of Hurting Me? They’re a tantalising reminder of one of the most talented soul singers of her generation, and tell the first part of the Bettye Swann story. The second part of the Bettye Swann story began in 1980, when after the death of her husband George Barton, thirty-six year Bettye Swann turned her back on music. She became a Jehovah’s Witness, and embarked upon a career in education in Las Vegas. The Bettye Swann story had taken an unexpected turn. Music’s loss was education’s gain. Since then, Bettye Swann has dedicated her life to helping others. So it’s fitting that having dedicated her life to others, there’s been a resurgence in interest in Bettye Swann’s music. Hopefully, the Bettye Swann story is going to have a happy ending? ← CHARLEY PRIDE-AMAZING LOVE, COUNTRY FEELIN’, PRIDE OF AMERICA AND CHARLEY.